The city’s second-oldest building (est. 1847) was once a Pony Express station, a bakery, a Native American trading post, a Mexican hair salon, a bordello, a boarding house used by Sam Houston, and the hangout of people like Debbie Reynolds, Johnny Mathis, James Baldwin, and Liberace. 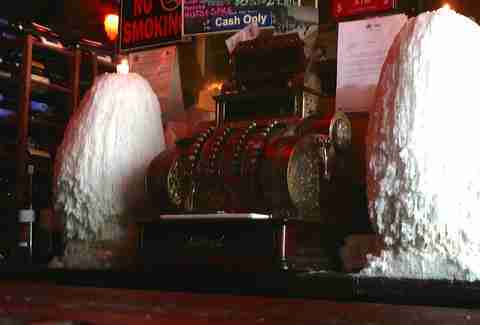 The bar has been standing guard since the ‘50s -- an antique-covered, candle-lit, creaky and possibly haunted masterpiece that sells beer and wine only, for cash only, to this day. Opened in 1928, this ice house is a beacon of days passed. 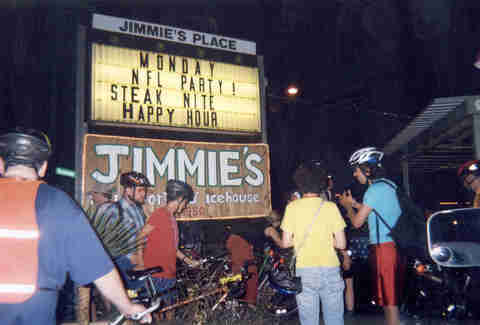 The hotspot has been frequented since way before air conditioning, when Houstonians came to get ice blocks and a couple of cold ones before heading home. All walks of life hit the no-frills patio to throw back ice-cold beers alongside tacos from the nearby Tacos Tierra Caliente truck. Open since 1978 (though in a different location), this sister bar to La Carafe is a piece of living history. A pretty awesome one with a vintage feel, seriously stiff pours, and an Old West-style booth that -- according to the Houston Press -- used to house bare-bummed ladies back when the place was a striphouse. Hit the Market Square stalwart, which has been keeping downtown cool since the late '80s, to listen to blues on the jukebox as you take down an Old Fashioned with your squad. Houston’s oldest sports bar -- holding ground since 1965 -- may be a bit dated, but its party scene is still hot as ever. That’s thanks to an army of loyal patrons, cunningly named “Griff’s Army,” which rolls deep during almost any big sports game. Plus its annual St. Patrick’s Day is a total rager. Locals know this drinkery inside a custom men’s store is the real deal. Though the actual bar itself may be only 10+ years old, we’re giving it a shout because the men’s tailor and vintage clothing shop that houses it has been holding court since the mid-1930s. After the decline of the once-booming “Tailor’s Row,” owner Michael Shapiro added the bar to keep the business afloat. Judging by Houstonians' love for the hidden spot, we’d say it's working. 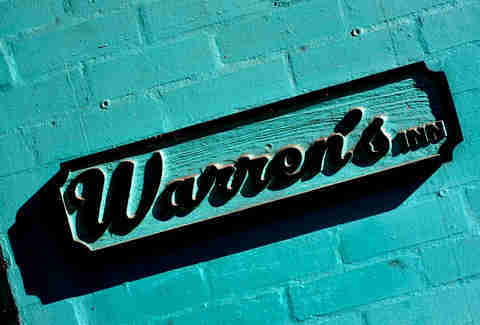 This Telephone Road landmark has been serving as an ice house for blue-collar folks since 1942. The lack of gentrification to the area keeps things legit, so hit this spot for a non-judgmentally good time complete with a jukebox, neighborhood potlucks, and now -- TVs! 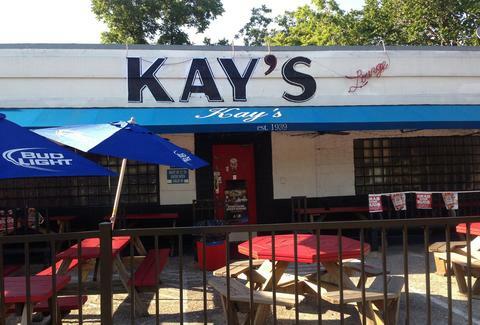 According to Houstorian, though “Kay’s Lounge” isn’t listed on city records until 1962, there are traces of “Kay’s Barbecue” and “Kay’s Club Grill” dating back to 1939. 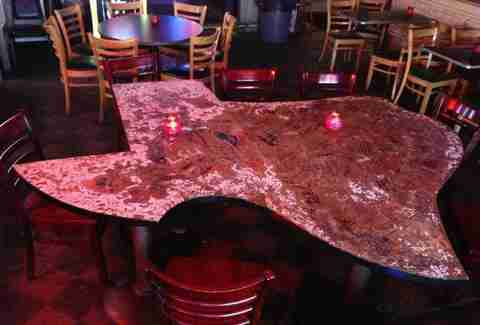 The homey space, which houses vintage ads, sports memorabilia, old photos, and its much-beloved giant table in the shape of Texas, is the kind of place you can stay a while. That it started serving liquor in 2007 only helps that fact. Originally located on Shepherd and West Gray (and known as just Marquis), this popular West U spot has been getting Houstonians buzzed since 1939. It moved to its current location in 1985, in a 1950s-era building that once housed a gentlemen’s establishment known as “The Bunny Club.” After a few facelifts, the neighborhood bar now draws a steady crowd of thirsty Rice University students thanks to a laundry list of cheap beers and stiff-as-hell Texas teas (this is especially true on Tuesdays, when the massive teas are just eight bucks each). Also dubbed Jimmie’s Place, this ramshackle ice house opened its doors 1950. And it hasn’t seemed to change much since then. Don’t expect any bells and whistles here. Just beat-up picnic tables, unapologetic bartenders, and cheap, ice-cold brews. The way it should be. 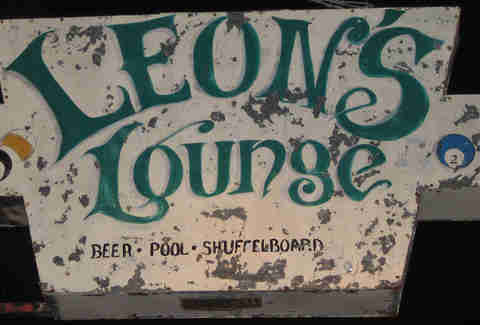 RIP Leon’s (1952-2015). 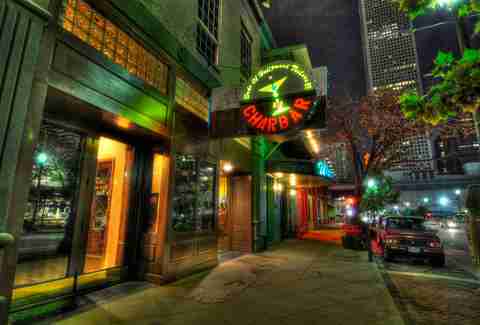 Yes, we lost this bonafide Houston institution -- the city’s oldest bar that wasn’t a restaurant or an ice house first -- earlier this year. But there is a silver lining in this cloud of crap; and that’s the fact that you can still get some of Leon’s famous cocktails at sister bar Under the Volcano, located in Rice Village. It has a different vibe for sure, but we’ll take any little piece we can get.